Stonewall Sports: Richmond Opening Day | Humphrey Calder Community Center | Happenings | Style Weekly - Richmond, VA local news, arts, and events. Stonewall Sports - Richmond's Fall Kickball Season is here! 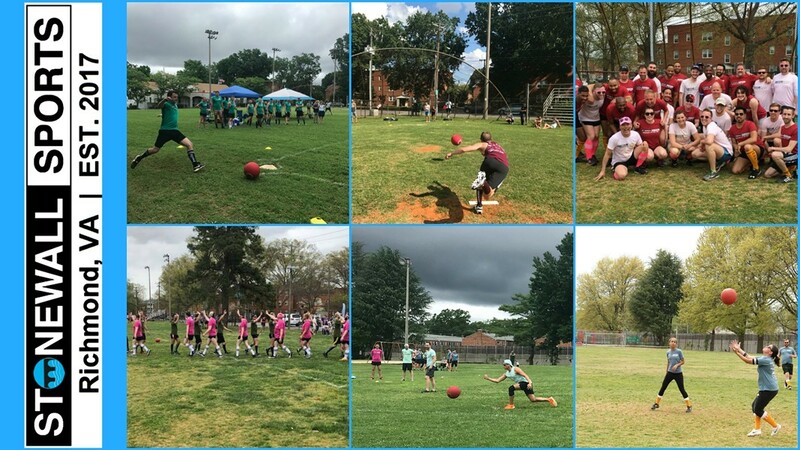 Join your LGBTQ+ Community for a fun day of Kickball and Community as we celebrate the start of our 2nd Year in Richmond and keep the VA Pride Weekend Celebration going! Beginning at 11am, hang out with the League's Board, Players, and Sponsors while also mingling with Members of our Season Beneficiary, The Nationz Foundation, at this all-day Event! Mayor Levar Stoney will be throwing the Ceremonial First Pitch at 11:30! Fun photo opportunities will be available courtesy of C.Hampton Photography! Kickball Games begin promptly at 12pm!